Ditch the flowers and bin the chocolates, this Valentine’s Day why not treat your other half to a weekend away? Whether you fancy a few days in a European city or perhaps an extended break a little further afield, Winged Boots are with you every step of the way. But travel doesn’t stop at hotels and flights. Our expert team of personal travel managers can also organise restaurant reservations, tours and much more to make sure sparks fly come February 14th. From Paris and Rome to the Cotswolds and the Maldives, there’s no romantic stone left unturned here. Just two-hours and 15-minutes on the Eurostar, Paris couldn’t be easier to get to. Yes, the French capital might be a little cliché but it has the reputation for being the most romantic city in the world for a reason. 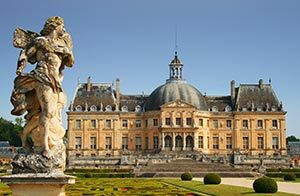 From the cute bistros and patisseries to walking hand-in-hand as you sightsee landmarks such as the Louvre and the Eiffel Tower, there are plenty of things to do for loved-up couples. 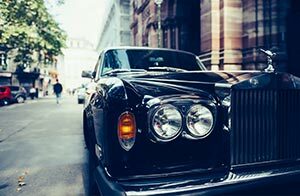 Add lashings of luxury to proceedings with a helicopter tour over the cobbled streets and skyline before a champagne dinner at Chateau de Vaux-le-Vicomte or alternatively turn the luxe dial up a notch with a sightseeing tour in a Rolls Royce no less. 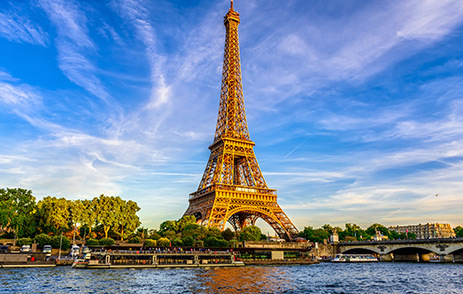 Admiring classic architecture such as the Louvre and The Eiffel Tower, you’ll then head to a French bakery for lunch which only adds to the perfect day! 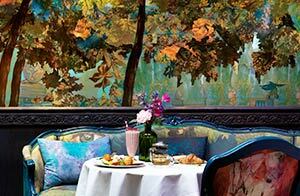 If that wasn’t enough, the hotels found within Paris are sure to make you fall in love. Think elaborate chandeliers, oversized beds and beautiful artwork that ensures passion by the bucketload. Many properties also boast award-winning Michelin-starred restaurants, so if you’re a foodie you’ve hit the jackpot here. 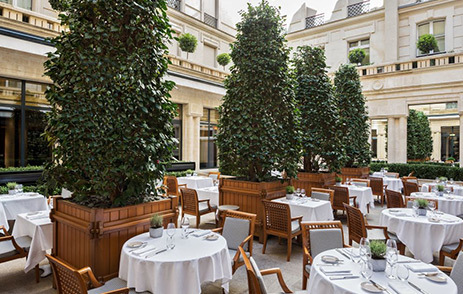 One of the most luxurious hotels in the French capital, Park Hyatt Paris-Vendôme is a brilliant choice for a romantic stay in the French capital. Located near Palace Vendôme and Palais Garnier, the historic building is bursting with a blend of contemporary furnishings along with classic touches. From the spa-like bathrooms to the apartment-style suites, you and your other half are sure to adore this hotel. The restaurants are equally as fantastic. Pur’ – Jean François Rouquette is an open-kitchen restaurant with a Michelin-starred menu that’s perfect for a date night to remember. Finish with post-dinner drinks at Le Bar, and you have a magical evening ahead of you. 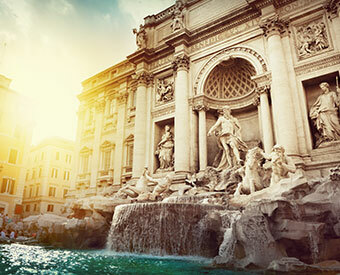 Known to many as The Eternal City, Rome is another top European destination to head to this Valentine’s Day. Inspiring many travellers that have walked the streets of this Italian jewel, there are few places better to soak up some romance. Afterall, the Italian capital started the celebration back in the fifth century. Just a quick stroll through the historic buildings and you’ll soon realise just how dreamy this city is. 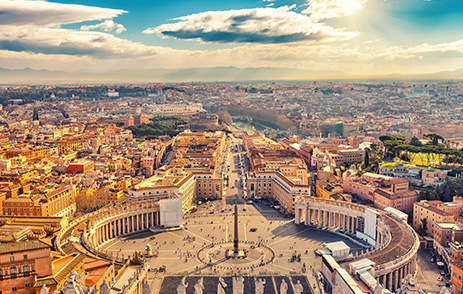 We recommend seeing the best bits of Rome with a private tour. Focussing solely on the city’s highlights, a picture-perfect getaway is guaranteed. 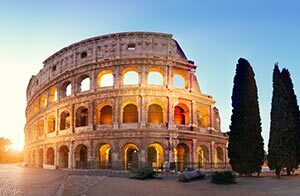 The tour begins at the entrance of the Colosseum, and you’ll head to top attractions such as Trevi Fountain, Mouth of Truth, Piazza Venezia and the Pantheon. Just make sure you have enough battery on your camera or phone, you’re sure to be taking plenty of snaps. 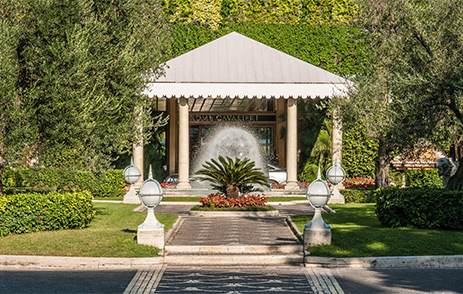 Surround yourself with lush gardens and stunning vistas of the city with a stay at Rome Cavalieri Waldorf Astoria Hotels & Resorts. 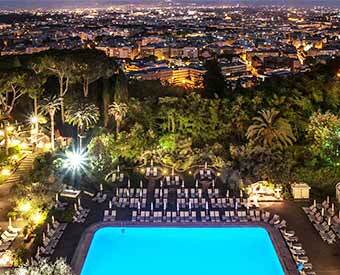 Ideal for the couple that want a secluded few days away, this hotel can be found just on the outskirts of Rome. It’s home to three Michelin-starred restaurants, a prestigious art collection and an award-winning spa which ensures your days are starry-eyed and full of unforgettable experiences with your other half. 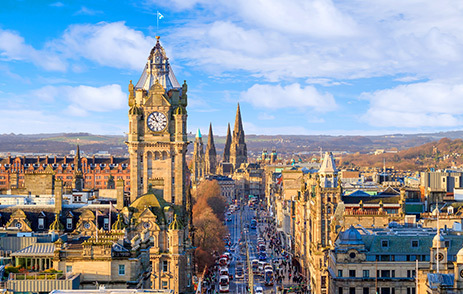 While Paris and Rome may seem like the obvious choices, Edinburgh definitely shouldn’t be overlooked. Fine-dining establishments, legendary hotels and more culture than you’ll know what to do with equates to a magical few days. Whether you spend the hours wandering the flora and fauna of the Royal Botanic Gardens, strolling along Portobello Beach or hiking up to Arthur’s Seat, Edinburgh promises plenty of adventures that are perfect for sharing with that special someone. However, for times when you’re feeling peckish, there’s no better restaurant for couples to head to than The Witchery. Along with spectacular views of Edinburgh Castle, you can tuck into delectable dishes either in the main restaurant or the secluded terrace. Alternatively, Restaurant Mark Greenaway on North Castle Street is fantastic for a date night. This multi-award-winning establishment boasts innovative menus that include the eight-course ‘Tour’ offering which includes tomato and beef consommé infused with thyme yet it’s served in a glass Cona coffee maker. It’s a date night with a difference, that’s for sure. 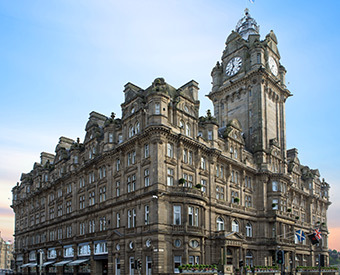 With a prime location close to all that Edinburgh has to offer, The Balmoral Hotel is sure to be a firm favourite. Getting comfortable is easy here thanks to the lavish king-size beds and luxe furnishings, finished off nicely with beautiful city views from the large windows found in every option. Add into the mix two restaurants, a bar and a spa and you have everything you need for a Valentine’s Day to remember. 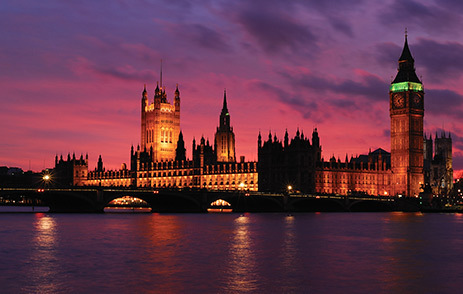 With such a diverse city right on our doorstep, London is the perfect place to head to for a romantic evening or break. From seeing a show at the theatre, dining at Michelin-starred restaurants or enjoying a few drinks at a lavish hotel bar, the various ways in which you can spend Valentine’s Day are almost endless. Just one option is a unique dining experience at Sketch. A brilliant destination that merges creative dishes, drinks, music and art, the four eateries that are within ensure a fabulous night. Paint the town pink in The Gallery, tuck into afternoon tea in The Lecture Room, get lost in the mythical forest of The Glade or enjoy a cocktail in The Parlour… the choice is yours. For a greener affair, Kew Gardens Orchid Festival returns on February 10th and runs until March 11th. Hosted in The Princess of Wales Conservatory, this year’s events have been inspired by the natural beauty of Thailand. There are a whole host of evening experiences to immerse yourself in that include traditional dance performances, Thai cooking tips, cocktail making and spa treatments. It’s the perfect option for Valentine’s day if you fancy doing something a little different in the capital city. 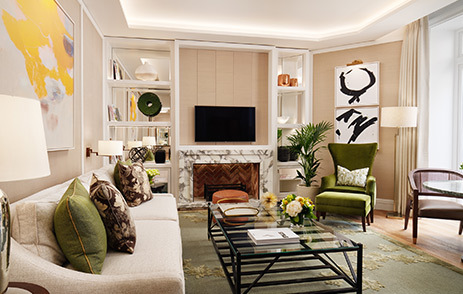 Corinthia Hotel London is one of our favourite hotels in the capital. Beautifully decorated, five-star customer service and a brilliant location is just the beginning here. If you’re choosing to stay here for Valentine’s Day, you can book a package that includes rose petals on the bed, pastries and a chilled bottle of Laurent-Perrier champagne upon arrival. You also receive complimentary access to the thermal floor of the award-winning ESPA life at Corinthia spa, and if you really want an unforgettable experience, you can always book yourself in for a facial or a massage, too. 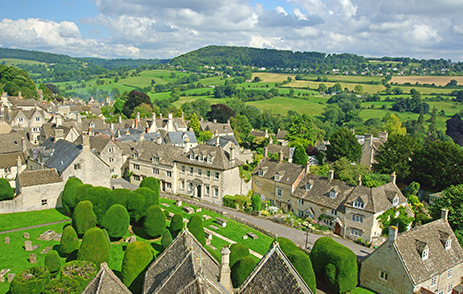 Unspoilt scenery, picture-perfect villages and lanes brimming with history has made The Cotswolds a firm favourite when it comes to staycations. Why not continue this trend with your other half this Valentine’s Day? Whether you come for the day or an extended weekend away, your trip is sure to be memorable. 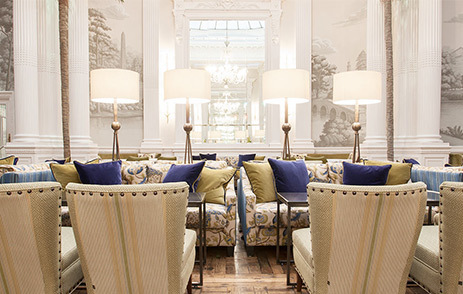 Hotels in the area are well-known for impressive afternoon teas, cosy interiors and acres of greenery to wander through. Many of the restaurants also serve a wealth of hearty British cuisine that’s sure to go down a treat. Boredom isn’t an option when holidaying in The Cotswolds. The botanical gardens of Batsford Arboretum stretches for more than 50 acres which makes it great for a moonlit stroll, while the 500 species of birds found at Birdland Park will keep you entertained for hours if you’re an animal lover. However, to finish the day off in style, make sure to head to the Devil’s Chimney in Leckhampton. This limestone rock formation near Cheltenham stands above a disused quarry so you can only imagine the magnificent views that are able to witness come sunset. If you consider yourself and your other half lovers of the great outdoors, you can’t go wrong with a stay at The Lakes by Yoo. A private estate that’s comprised of second family homes and rental residences, this choice holds luxury at its core. The accommodation is elegant yet inviting, thanks to the log-burning fires, tall ceilings and cosy décor. Not only that, but some even come with swimming pools. There’s a spa with a team of expert therapists that’s perfect for some TLC, plus a whole host of activities to partake in including canoeing, sailing and zip wiring. Ahh, the Maldives. It’s the ultimate escape for Valentine’s Day festivities and promises a holiday of endless sunshine, crystal-clear waters and five-star luxury. The majority of the hotels are on private islands, so you can call off the search if you’re after a secluded stay. 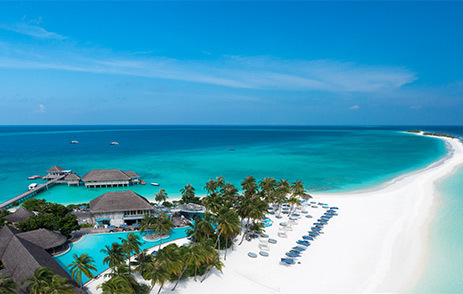 Overwater villas and beachside suites come as standard here, each offering immense views of the Indian Ocean. 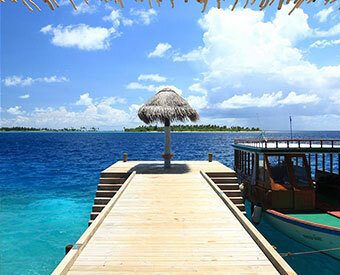 With almost 99 percent of the Maldives inhabited by water, you can expect to be getting wet and wild in paradise. From swimming with dolphins and whale watching to canoeing and embarking on a yacht excursion, memories are sure to be made. All of the hotels cater to couples wonderfully too. You can indulge in a private picnic on a deserted island at Six Senses Lamuu, or you can enjoy a seaplane ride at One&Only Reethi Rah. 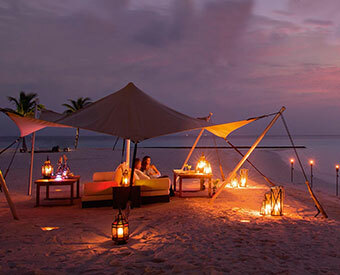 Alternatively, why not set sail with a sunset cruise at Constance Halaveli? 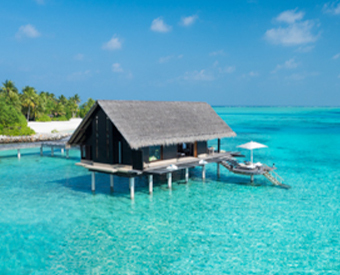 Found on the UNESCO World Biosphere of Baa Atoll, Finolhu should be your go to for a romantic getaway. Honeymooners and couples are sure to be in their element with the hotel’s quirky, retro-chic interiors and the facilities are second to none. 1OAK Beach Club is an absolute must. Whether you want a long, leisurely breakfast or an evening listening and dancing to the tunes of the resident DJ, this hotel caters to all guests. If that wasn’t enough, here you can watch classic movies and live international sports, or you can even play classic games such as Pinball or PacMan. If any of these destinations or hotels have captured your heart, don't be shy. Make the first move and start planning your next romantic getaway with your other half. 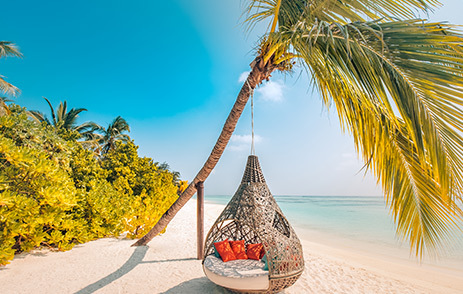 Whether you want to relax in the Maldives complemented by endless cerulean waters and miles of powder-white beaches, relish scenes of iconic landmarks such as the Eiffel Tower in Paris, or stay close to home in The Cotswolds, think of Winged Boots as your very own Cupid. 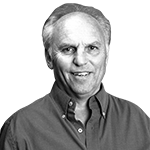 Simply enquire here, or call one of our personal travel managers on 0203 816 0985.